Grigore Antipa National Museum of Natural History and Rotenberg-Uzunov are good opportunities to explore the local culture. Do your shopping at AFI Cotroceni and Carturesti Carusel. Step out of Bucharest to go to Balotesti and see Therme București, which is approximately 36 minutes away. There's still lots to do: examine the collection at Ceausescu Mansion, take in the architecture and atmosphere at Biserica Sfantul Anton - Curtea Veche, admire the masterpieces at The National Museum of Art of Romania, and indulge your taste buds at Food & Drink. To find photos, more things to do, maps, and tourist information, use the Bucharest road trip planner . Brisbane, Australia to Bucharest is an approximately 26-hour flight. You can also do a combination of bus and flight. Traveling from Brisbane to Bucharest, you'll gain 8 hours due to the time zone difference. Traveling from Brisbane in July, expect Bucharest to be somewhat warmer, temps between 36°C and 19°C. Wrap up your sightseeing on the 4th (Thu) to allow time to take a train to Constanta. Get in touch with nature at Plaja de Carte and Mangalia Stud Farm. 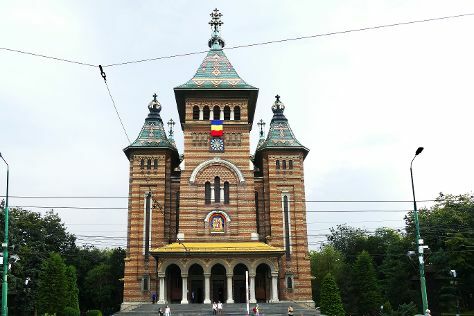 Deepen your sense of the past at sights like Catedrala Sfinții Apostoli Petru și Pavel and Ovidiu Square. Take a break from Constanta with a short trip to Muzeul de Arheologie Callatis in Mangalia, about 42 minutes away. There's much more to do: enjoy the sand and surf at Oha Beach, browse for treasures at Tomis Antiques, look for all kinds of wild species at Dobrogea Gorges Reserve, and test your team's savvy at popular escape rooms. To see maps, where to stay, more things to do, and other tourist information, use the Constanta attractions planner . Traveling by train from Bucharest to Constanta takes 2 hours. Alternatively, you can drive; or take a bus. Expect a bit cooler weather when traveling from Bucharest in July: highs in Constanta hover around 32°C, while lows dip to 20°C. Wrap up your sightseeing on the 7th (Sun) early enough to drive to Brasov. You'll explore the less-touristy side of things at Sinaia Monastery and La Cabane Aux Images. Get some historical perspective at Brasov Historical Center and Prima Scoala Romaneasca. Change things up with these side-trips from Brasov: Dino Parc (in Rasnov) and Pelisor Castle (in Sinaia). Next up on the itinerary: take in the awesome beauty at Mount Tampa, admire nature's extreme beauty at Luado Chocolate, tour the pleasant surroundings at Poiana Brasov, and steep yourself in history at Peasant Fortified Church at Prejmer. To find ratings, maps, reviews, and tourist information, go to the Brasov tour itinerary site . Getting from Constanta to Brasov by car takes about 4.5 hours. Other options: take a train; or take a bus. Wrap up your sightseeing on the 10th (Wed) to allow time to drive to Sighisoara. 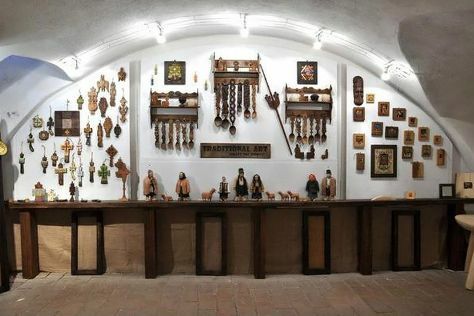 Step off the beaten path and head to Art & Crafts and Fagaras Fortress. The Spoonman and Palace of Culture will appeal to museum buffs. Explore Sighisoara's surroundings by going to The Fortified Church of Biertan (in Biertan), Tirgu Mures (Petry Museum and Workshop & Synagogue of Tg. Mures) and Cetatea Rupea (in Rupea). The adventure continues: make a trip to Clock Tower, identify plant and animal life at Ivo Wildlife Park, explore by horseback at Icelandic Horses Riding Ranch, and pause for some serene contemplation at Biserica Romano-Catolica. To find photos, traveler tips, other places to visit, and more tourist information, you can read our Sighisoara vacation maker . Traveling by car from Brasov to Sighisoara takes 2 hours. Alternatively, you can take a bus; or take a train. In July in Sighisoara, expect temperatures between 34°C during the day and 16°C at night. Finish your sightseeing early on the 13th (Sat) to allow enough time to drive to Sibiu. Appreciate the collections at ASTRA Museum and Brukenthal National Museum. You'll explore the less-touristy side of things at Citadel of Alba Iulia and Turnul Sfatului (The Tower of the Council). Explore Sibiu's surroundings by going to Alba Iulia (Museikon & Framm's). Next up on the itinerary: take in the spiritual surroundings of Lutheran Evangelical Cathedral & Tower, wander the streets of Passage of Stairs, appreciate the extensive heritage of Old Town, and admire the landmark architecture of Orthodox Cathedral. To see where to stay, maps, reviews, and more tourist information, you can read our Sibiu tour planner . Traveling by car from Sighisoara to Sibiu takes 2 hours. Alternatively, you can take a train. In July, plan for daily highs up to 32°C, and evening lows to 16°C. Cap off your sightseeing on the 16th (Tue) early enough to go by car to Timisoara. Timișoara is the capital city of Timiș County, and the main social, economic and cultural centre in western Romania.The third most populous city in the country, with 319,279 inhabitants as of the 2011 census, Timișoara is the informal capital city of the historical region of Banat. You'll explore the less-touristy side of things at Timisoara Orthodox Cathedral and Shopping City Timisoara. Head to Calina Art Gallery and La Cave a Vinsfor some retail therapy. Take a break from Timisoara with a short trip to Water Tower Galleries in Arad, about 1h 05 min away. There's still lots to do: don't miss a visit to Unirii Square, appreciate the history behind Piaţa Victoriei, take in the architecture and atmosphere at Serbian Orthodox Episcopal Church, and have fun at Mag Tehnica 1. To find photos, ratings, where to stay, and other tourist information, go to the Timisoara online trip maker . Traveling by car from Sibiu to Timisoara takes 3.5 hours. Alternatively, you can take a bus; or take a train. July in Timisoara sees daily highs of 35°C and lows of 19°C at night. Finish up your sightseeing early on the 19th (Fri) so you can travel to Iasi. Iași is the largest city in eastern Romania and the seat of Iași County. Do some cultural sightseeing at Palace of Culture and Art Georgies - Gallery, Tea&Coffee. You'll explore the less-touristy side of things at Palas Iasi and Hadambu Monastery. And it doesn't end there: explore the world behind art at Mihai Eminescu Museum - Literature, browse the different shops at Palas Mall, contemplate in the serene atmosphere at Sinagoga Mare din Iasi, and look for gifts at Leonidas Iasi. To see other places to visit, reviews, more things to do, and tourist information, read our Iasi sightseeing planner . Traveling by flight from Timisoara to Iasi takes 3.5 hours. Alternatively, you can drive; or take a bus. In July, daily temperatures in Iasi can reach 34°C, while at night they dip to 18°C. Finish your sightseeing early on the 22nd (Mon) to allow enough time to travel to Cluj-Napoca. Visiting Baile Figa and Moara de Vant will get you outdoors. Discover out-of-the-way places like Cheile Turzii - Turda Gorge and Botanical Garden. Explore the numerous day-trip ideas around Cluj-Napoca: Coltesti Castle Ruins (in Coltesti), Cascada Varciorog (in Arieseni) and Sic Calvinist Reformed Church (in Sic). And it doesn't end there: take in the architecture and atmosphere at St. Michael's Church, appreciate the history behind King Matthias Corvin Statue, take in the spiritual surroundings of Reformed Church of Cluj-Napoca, and look for gifts at Oranjerie. Use Inspirock's suggestions to plan your Cluj-Napoca trip and find the best activities and attractions for your vacation. Getting from Iasi to Cluj-Napoca by flight takes about 1.5 hours. Other options: drive; or take a bus. Expect a daytime high around 32°C in July, and nighttime lows around 16°C. Cap off your sightseeing on the 29th (Mon) early enough to travel back home.